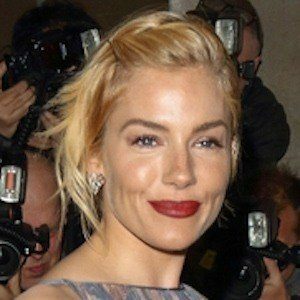 Actress and model who has appeared in such films as Factory Girl, Stardust, American Sniper, Layer Cake, Foxcatcher and G.I. Joe: The Rise of Cobra. She modeled for Coca-Cola and Italian Vogue prior to acting. She starred in Alfie with Jude Law. She was in a relationship with Jude Law from 2003 until 2006 and then again from 2009 until 2011. She began dating Tom Sturridge in 2011, and they welcomed a daughter in 2012. The couple split in 2015. She began dating Lucas Zwirner in 2019. She starred in G.I. Joe The Rise of the Cobra with Joseph Gordon-Levitt.